Last night I attended the monthly Portland WordPress Meetup group and learned about membership sites, thanks to our guest speaker Bob Dunn. After the meeting ended I stayed around to meet new people and answer questions. An author approached me with a question about making her WordPress home page appear correctly, because something funny was happening. We used her laptop and logged into WordPress, then saw that it was using a Theme called StormMusic from SMThemes. This dialog is where I can define that my Home page is a static page, and that my blog posts should go on a page called Blog. Nice and easy. 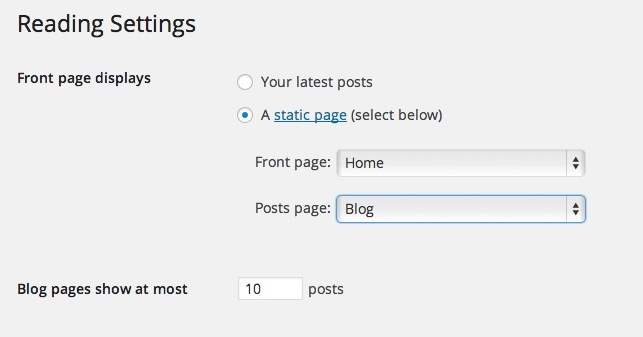 If you instead wanted a Blog style of web site, then you would click the radio button choice for Your latest posts, instead of A static page. To my horror, all of these choices were missing. How could that be? What would make this standard WordPress dialog not appear? It turns out that the culprit is the theme author, SMThemes. In their theme they decided to remove standard WordPress features, and instead do something totally different. I would call this very poor design, because they took a standard WordPress feature and removed it altogether, making a WordPress user like myself wonder if I’d lost my mind. When a company makes a decision like this, then I will recommend that you stay away from this theme in particular and probably all themes they have to offer in general. What use is a standard platform like WordPress if theme authors come along and remove standard features?